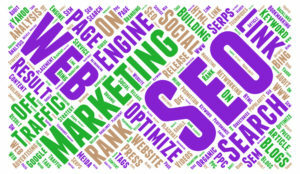 Aleph IT SEO Marketing Perth helps refine your existing website SEO strategy from average to exceptional. Our approachable team has a deep and profound understanding of the heart and desire of every business vision and goal. We relate directly with our clients to ensure they understand the whole process and ensure that their business campaigns are stimulating. The main ingredient to increase the growth of one’s business is the optimization visibility on Search Engines Result Pages (SERP). Thousands of websites from small to large businesses are competing to achieve the” top rank”. For that reason, a business owner must be smart enough in choosing a firm that offers holistic service. At Aleph IT, we continuously render quality SEO Marketing Perth that gives impact to your business liability and credibility. In fact, our SEO analyst make sure to bullseye the White Hat techniques, from target market research, inbound/outbound link building, and keyword analysis. As a result, we ensure that your investment in a long-term website is worthwhile. We even transverse our service to the leading social medias. Which is the prominent strategy in business marketing in this modern era. Various platforms give a wide portal of opportunity that your business can be one of those influential brands that are widely known to a vast audience. We can be trusted on key platforms such as LinkedIn, Facebook, Google+, Pinterest, and Twitter. The Professional team in Aleph IT knows the strategy and techniques to apply to get your website on the top of the rank. Consequently, your website should have all the important elements to achieve the high-ranking in Google, Bing, and Yahoo. The higher your website place in the rank, the more people will find you. This eventually leads you to see your sales go through the roof. Search engines are what they call “the librarian’’ in the world of internet. They collect data or information from every website to provide the audience with what they are looking for. It is critical that your website must have the optimal element that search engines need and that is SEO Algorithm. Algorithm is highly needed to convert all traffic in your website into profitable search results. Our company uses search Algorithms like Panda, Penguin, Hummingbird and Pigeon. As a result, every nook matters, from a thorough perusal of the architectural structure of the websites, content quality, link building tactics. At Aleph IT, we offer you legitimate techniques and a genuine content. This is wisely made to ensure that business websites will pass the basis of these search algorithms. Also, uniquely generate to avoid penalizing with the Google engine. This will surely plant brick-and-mortar business to maintain longevity in the ranking. Furthermore, we take a regular update of our client’s online marketing accounts to make certain that you are using healthy and complacent SEO marketing services. If you run a business and are looking to do local SEO Marketing Perth, give us a call today. Find out more trending tips that ignite your business in the online marketing society specially on digital marketing services. It is now time to cut your losses and let your profit soar! This entry was posted in Digital Marketing and tagged local seo services, seo, seo services.